The Natural Capital Initiative is celebrating its 10th anniversary at the Valuing our Life Support Systems 2019 summit in May. Laura Bellingan from the Royal Society of Biology reflects on 10 years of natural capital dialogue and explains why more is needed. Ten years ago, even though we already knew that continuing as we were would cause huge and unsustainable damage, there were surprisingly few broad and open meetings on how to manage the environment – urban, rural and marine – to sustain it. By broad meetings I mean those actively bringing together science, business and policy influencers to discuss how to use the individual insights and expertise of these communities to identify the gaps in knowledge, policy and implementation that continued to allow poor decision-making, poor practice, and poor outcomes. In the spirit of wanting to tackle this the Natural Capital Initiative was formed and set about hosting a seminal conference on Valuing our Life Support Systems. The event was truly broad – natural and social scientists, business leaders, government advisers, interested citizens all gathered – and it was inspiring as well as worrying. My memories of a busy and productive three days include how novel and needed many felt were the open iterations of linkage between human health and environment; the interactions of natural capital and social capital; the recognition that the differences in languages of the different communities were a barrier to meaningful interaction; the important responsibilities on owners of natural environments – these things were recognised, just under-discussed. We concluded energised, motivated, networked. It was a moment of change, partly in itself and partly because the general discourse was shifting. Ten years on it is time to reflect, to look forward and to gather again to distil what are the emerging and under-said understandings of those studying and planning environment use for benefit. Recommendations from the 2009 summit influenced research agenda and policy directions. The 2009 meeting led to many individual focal meetings held by the Natural Capital Initiative (NCI) over the years. 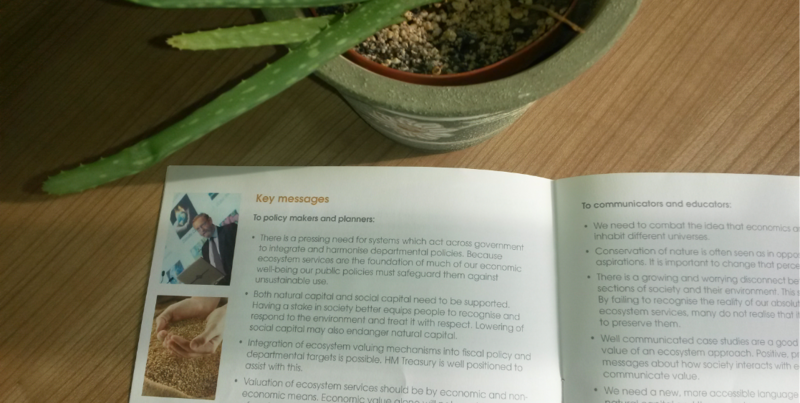 It certainly encouraged and spurred many other individual initiatives beyond, and retained its mission to be an independent forum to bring together any and all actors examining the potential to improve natural capital and ecosystem service management. NCI began at a time of change in the profile and open discussion of natural capital development and ten years on there are many powerful national and international groupings with high profile and impact, yet there remain many common challenges and many of the same frustrations as a decade ago. Somewhere in between high level recognition and ambition, and ground-level aspiration for better-integrated management and use of the environment is a morass of middle-ground difficult-to-shift practice and dependencies that continues to bedevil the improvements needed to get us to sustainability and health. No one thing will solve these knotty problems but periodically mixing up and bringing together those with an interest in trying continues to be the mission of NCI, usually in small groups, but a decade on we are opening doors to our third large summit meeting – a gathering of groups and individuals. The next Valuing our Life Support Systems is in May (21-22) and the range of topics already speaks to the development of the field in the last decade, and its growth alongside development in other areas of science, policy and communication: artificial intelligence (AI), urban environments and health, fairness, accounting, integrating, scaling up and down, biodiversity net gain, communicating and messaging effectively. It will be a new melting pot of ideas and hopefully a new moment to see the emerging concepts for the next phase of the journey to better understanding and action – there is a way to go so better to be armed and informed. There’s still time to register to attend and add your voice as well as lend your ear to these vital discussions. Read more about our dialogues during the past 10 years.